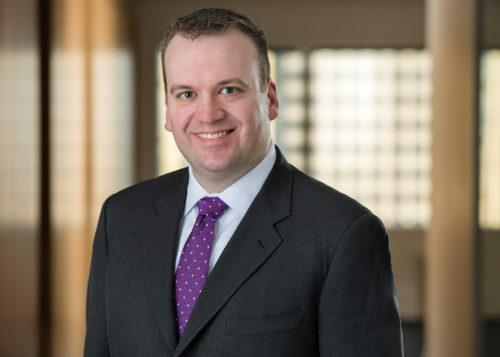 Brad advises Carlson Caspers clients on a wide range of intellectual property law and business matters, with a focus on patent litigation and counseling. He works with clients to develop effective strategies for litigation defense, patent enforcement, inter partes reviews, as well as advising clients on licensing, IP portfolio development, infringement & validity opinions, open source software, and leveraging IP to further their business objectives. Before joining the firm, Brad was assistant general counsel for a multinational company responsible for worldwide intellectual property matters in a multi-billion dollar business unit. In this capacity he advised the business leadership on all IP issues relating to the business, supervised IP litigations, negotiated contracts & licenses, and managed a global portfolio of several hundred patents. Prior to this, he was a member of the IP practice of an international law firm, where he gained extensive experience in all facets of IP litigation in a wide range of technologies. Brad has a degree in electrical engineering and experience with a wide range of technologies such as semiconductors, mobile communications/networking, micro-electronic devices, video analytics, telecommunications standards, and software.